Rockstar is synomonous for games like Grandtheft Auto or one of their recent admissions Warrior, and when I first heard that they were releasing a game about table tennis, I was actually a little bemused but upon further investigation and like the Midas touch, this game was going to be something special. For those uninitiated with the Olympic sport, table tennis is a game that resembles tennis but is played on a table with paddles and a light hollow ball. Sometimes know as ping-pong, it is the second most played sport in the world and what better gaming platform to release this game than the powerful XBox 360. Fortunately if you are still confused as to what on earth table tennis is about, the title offers gamers a very in-depth training mode that explains the basics behind the sport and how the player can master a variety of different maneuvers that include a variety of topspins, backhands and smash hits that are also nicely mapped out on the cordless XBox 360 controller. With that said, the training mode also teaches gamers the differences between serves & smashes and teaches the player how to master the power meter in the title which is the key to winning your matches. 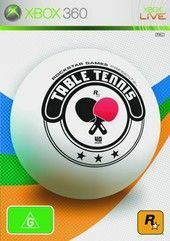 Needlessly to say, the basics of the game may be mastered in around 10 minutes but to truly master this title, you may need a few days to learn the subtleties of the Rockstar Games Presents Table Tennis, especially the art of timing. As with all Rockstar games, the developers have taken the opportunity to truly immerse the player into the world of table tennis by creating 11 uniquely detailed characters that each have their own strengths and weaknesses. Once your character has been selected, it's ready to play ping-pong... err... table tennis as ping pong is a registered trademark. With that said, the female characters are a little easier to control and play against as their shots are not nearly as powerful as the male characters in the game. As mentioned earlier, the game is quite easy to pick up but it will take most gamers a little time to fully master this title. Besides all the various different shots your characters can make, the developers have added a nifty little feature into the title that basically uses your controllers vibration function to give the gamer a sense of how strong the shot is going to be. For instance, by holding the button down for a little while, you will experience a mild vibration that will definitely hit the ball onto your opponents court but as the vibrations become harder, it becomes a little more tricky to keep the ball on the table as this is a smash shot. The player can also perform drop shots by using the left shoulder button that is a very entertaining shot when playing against human opponents. Graphically, Rockstar's Table Tennis is a visual treat and if you haven't seen this baby played on a plasma or LCD television in high resolution than I highly suggest you purchase a high quality television because the XBox 360 boasts monitor quality graphics and if you don't have this, you're really missing out. Sure, the XBox 360 is an amazing piece of equipment that impulsegamer have been singing its praises but it's all about the software available for it and Rockstar have truly taken gaming to the next level with some of the most realistic, smoothest and impressive graphics to date that is nothing short of actually playing the game itself in the real-world. With that said, all the characters have been professionally designed that contain extremely realistic texture details, facial expressions that move with a human like grace and match that with some extraordinary background environments and you have one impressive looking title. 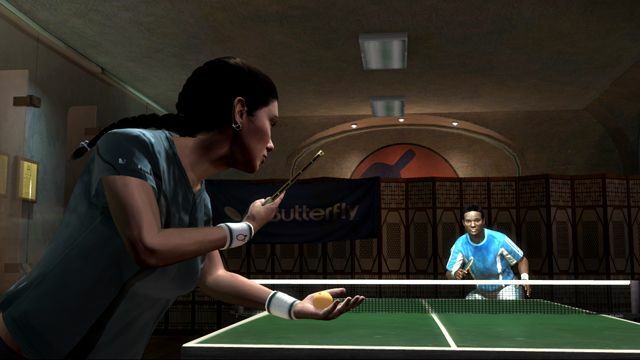 As with the graphics, the game also supports a variety of realistic sound effects that have obviously been taken from a real table tennis match but also an easy-listening soundtrack that doesn't get in the way of the gameplay. In conclusion, for a game that retails for around $60AUD, Rockstar Games presents Table Tennis is a highly addictive title that contains sturdy gameplay, realistic graphics and that famous Rockstar spirit... so what are you waiting for? Go play some table tennis!